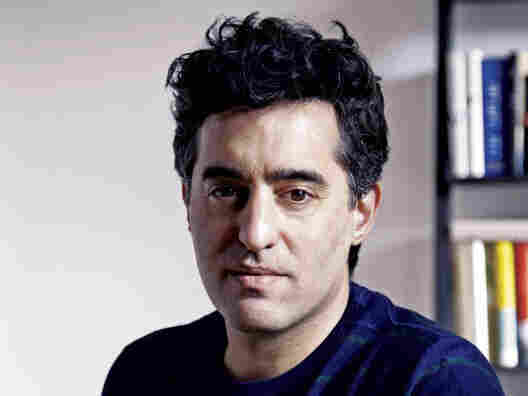 Nathan Englander: Assimilating Thoughts Into Stories In What We Talk About When We Talk About Anne Frank, Nathan Englander writes about his own faith — and what it means to be Jewish — in stories that explore religious tension, Israeli-American relations and the Holocaust. The stories in Nathan Englander's new collection are based largely on his experiences growing up as a modern Orthodox Jew with an overprotective mother. In What We Talk About When We Talk About Anne Frank, Englander writes about his own faith — and what it means to be Jewish — in stories that explore religious tension, Israeli-American relations and the Holocaust. 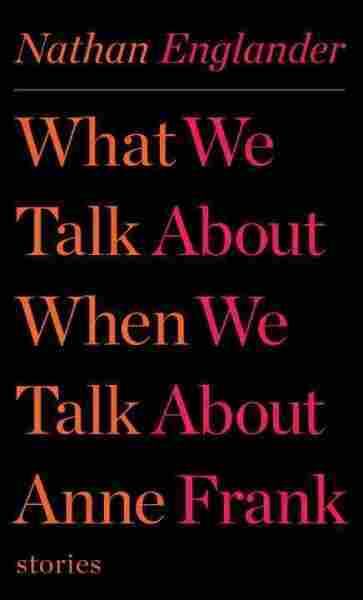 In the title story — a riff on Raymond Carver's classic What We Talk About When We Talk about Love -- a Hasidic couple and a secular Jewish couple play a morbid game called "Righteous Gentile," in which they debate who would hide them during an imaginary second Holocaust. Englander says that though he calls it a game in the story, it's not really a game — and that's the point. "I call it a game," he says, "because it makes it easier to talk about as a game — but it's something we play with dead seriousness in my family — we would wonder who would hide us in the Holocaust." Englander, a fourth- or fifth-generation American, says despite his family's longstanding roots in the United States, they frequently played the mind exercise when he was little. "We really were raised with the idea of a looming second Holocaust, and we would play this game wondering who would hide us," he says. "I remember my sister saying about a couple we knew, 'He would hide us, and she would turn us in.' And it struck me so deeply, and I just couldn't shake that thought for all these years, because it's true." Englander grew up on Long Island in the mid-1970s, where he and his sister both attended a religious day school. The rabbis at the school would tell them graphic stories about the Holocaust and the Inquisition. At home, his mom wasn't much better. Nathan Englander grew up in an Orthodox Jewish family. He now splits his time between New York and Madison, Wis.
"My mother raised me very clearly that if you cross the street, you will die," he says. "If you go outside, you will die. If you play sports, you will likely die. That's what I was getting at home." Meanwhile, anti-Semitic graffiti popping up around his town was reinforcing all of his fears. Looking back, Englander says his paranoia and fears of nonexistent threats made him want to explore his roots further. "I think that's why I had to live in Jerusalem all those years," he says. "There's a reason ... I spend my childhood in America feeling Jewish and not American. And it's only in Israel — it was those years there — where I got to be an American because everyone's a Jew." Englander's time in Jerusalem overlapped with a period of brutal violence in the city. He says the constant real threat of violence actually made him more comfortable living his daily life. 'Hope': A Comic Novel About The Holocaust? "That was a huge discovery," he says. "If you're paranoid and you put yourself in a place of real existential threat, then you're not paranoid anymore. It was a huge relief for me on that front. It was like living in Catch-22. ... The state of panic — I didn't stick out in a crowd anymore — the cold sweat was just general." While living in Jerusalem, Englander also examined his own religious beliefs. "It was the first time I saw ... deeply secular atheistic Jews who I could identify with," he says. "The first week there was when I gave up organized religion. My first Shabbat in Israel was when I broke [being Orthodox] after 19 years." Englander remembers thinking that week that God would smite a bus he was riding on the Sabbath. When that didn't happen, he says, "it felt like I wanted a cheeseburger." Eating a cheeseburger would have broken the Jewish law forbidding the mixture of milk and meat products. Still, Englander wanted one, he says. "It was pretty hard to break that rule," he says. "I had to wait months to find one. My buddy and I had flown to London. I literally got out at Victoria Station and went up the stairs into Burger King and had me a Whopper." He calls the process he went through an "active irreligiousity." "I was trying to think of every rule that I could possibly break till I checked them all off," he says. "Because that's what a young person is going to do when they swing in the other direction. I'm 42 now; if I was complaining about something in high school, it would be time to let it go. But then, it was large and electric and active." "Out of all the traditional Jewish documents, it's the one that's most living. 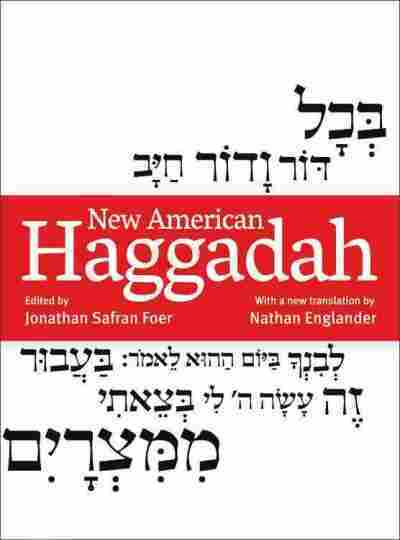 There's an Armed Forces Haggadah and an Alcoholics Anonymous Haggadah and an LGBT Haggadah. Some people make a new Haggadah every year. It's a real living document. ... They're just constantly made throughout time. On the decision to translate it? It was really clear when I went back and looked at texts. I've always used the Hebrew side of the Maxwell House [Haggadah], which is a really great liturgy. The point is, I had never really looked at the English. And what committed me to it [was that] you should literally read the Haggadah and weep. It is so beautiful. It is just such a moving document to me." "This education that I fought so wildly against was a huge effort for my parents to give me that education. We had these old-school rabbis. And I think that's the reason I write the way I do. ... [At the University of Iowa, one professor told me] that I was writing all of my sentences in transliterated Yiddish. My mom's from Boston and my dad's from Brooklyn but I hear everything [in a Yiddish] rhythm." "As someone who spent a lot of years living in Jerusalem, one of the great perks is that when you come back, and you get into these Israel arguments in your American-Jewish clan, you can really just silence them by saying, 'I lived there.' So we used it like a bludgeon." "I've been comparing it to friends' coming-out stories. When you're in a world and your parents are one way and you're told, 'This is how the whole world is, and this is how you're supposed to be,' and you're terribly unhappy in that world, it's a very scary thing. The whole time I was so religious and so sincere and so interested in the texts, but thinking this is not the world for me. And it grew and it grew."